Resonate Is Hot Off the iBook Presses! 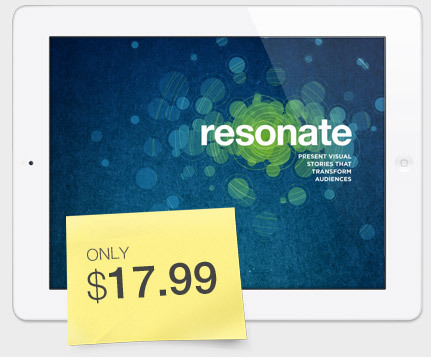 Resonate has made the leap from book to iBook! A significantly enhanced version of the best-selling business book is currently on an iBookshelf near you. We are proud to say that Resonate is the first interactive business book built using Apple’s iBooks Author, a tool to help publishers create digital books that leverage the iPad’s video, sound, interactive diagrams, and text functionality. If not for the outstanding capabilities of the program (and the iPad! ), the Resonate iBook would simply not exist. 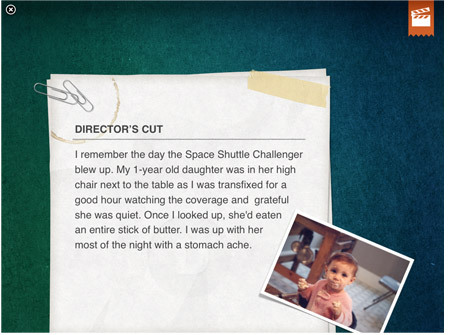 The app enabled our designers to create and convey content not possible on the printed page. Resonate’s original print publication contained references to online multimedia content, but it was a separate experience from reading the book. With the iPad’s ability to to support interactive applications and multimedia, the reader is able to transition seamlessly between static and multimedia content.